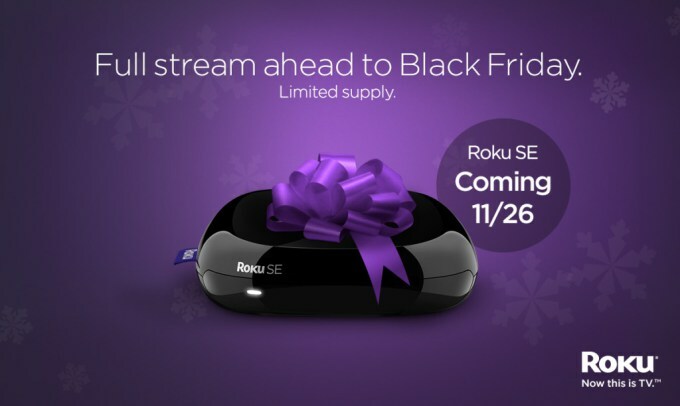 Roku has announced a low-end streaming device, the Roku SE which is affordably priced at $49 but will be discounted down to $25 for Black Friday 2015. With the lower price point comes lower hardware specs and features like the lack of 4K support, no Ethernet port, and the remote finder function and voice search won’t be found either. However, for the price the Roku SE at $25 is a steal and even at $49 is a decent entry-level streamer that provides 1080p HD, HDMI, and runs on the latest Roku 7 Operating System. “This special edition Roku player will be available in the U.S. for a limited-time only during Black Friday weekend online and at select national retailers starting 11/26. Its suggested retail price of $49.99 will be slashed to a deep Black Friday discount of just $25.” Roku said today in a posting. Shark Week 2015 Kicks Off With a Bite!